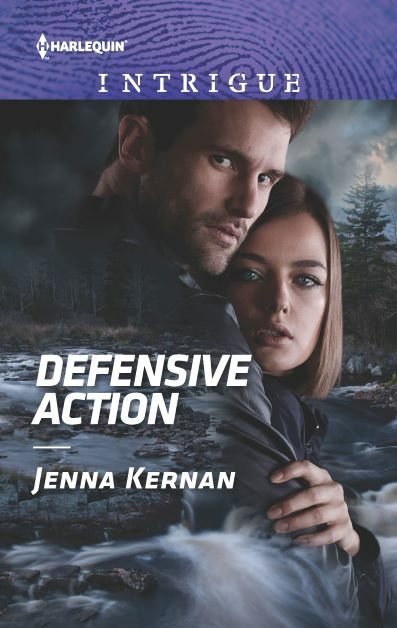 When Detective Dalton Stevens follows his estranged wife, Erin, to the Adirondack Mountains, neither of them expects to be entrusted with intel that must be shared with Homeland Security. They are forced to begin a harrowing wilderness trek to outrun the terrorists who’ll kill for the secret. 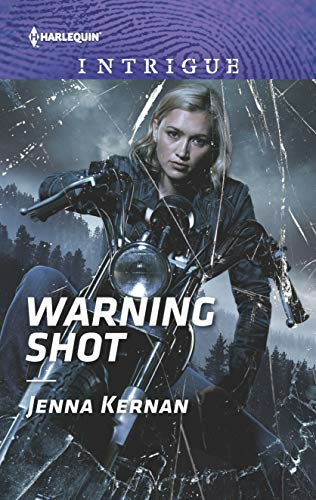 Dalton’s real objective—to reconcile with headstrong Erin—happens by chance…when one bullet changes everything. On his first day off in three months, Detective Dalton Stevens shouldered his backpack and set out after his wife. He knew she’d be surprised to see him and possibly furious. She’d tell him that trial separations meant the couple separated. Well, the hell with that. His wife, outdoor adventure specialist Erin Stevens, was up here in the Adirondacks somewhere. He had arrived last night, but as it was dark and he didn’t know the location of her guided excursion, he’d had to wait until this morning. That meant she was well ahead of him. It seemed like he’d been chasing after Erin ever since he met her, and the woman knew how to play hard to get. But this time was different. This time he really didn’t think she wanted to be caught. She wanted a separation. In his mind, separation was just code for impending divorce. Well, the hell with that, too. Dalton adjusted the straps on his shoulders. He couldn’t use the padded hip strap because it rubbed against his healing stomach wound. The group she was leading had already been at it a full day. Normally he could have caught them by now. But nothing was normal since he’d told her he’d been cleared by the department physician to return to active duty. “Did you hear anything I said?” she’d asked. “I heard you, Erin,” Dalton said to the endless uphill trail. Roots crisscrossed the path, and moss grew on the damp rocks that littered the way. He’d lost his footing twice, and the twisting caused a pain in his middle that made him double over in agony. Cleared for duty did not mean cleared for hiking with a fifty-pound pack. It would have been lighter if he’d left the tent, but he knew his wife’s tent was a single. He’d packed one that suited two. Ever hopeful, he thought. Now if he could just get her in there, he was certain the starlight and the fresh air would clear her mind. She was always happiest in the outdoors. Erin seemed to glow with health and contentment in this bug-infested, snake-ridden, root-laden wilderness. Meanwhile, he couldn’t tell poison ivy from fern, and the last time he’d carried a pack was in Afghanistan. He stopped again to catch his breath, drawing out his mobile phone and finding he still had no service. “Nature,” he scoffed. He’d take a neighborhood with a quality pizza joint any day. Erin’s boss, and the director of the adult adventure camp, had given him directions to the trailhead by phone and an Dalton had picked up a topographical map. If he was reading this correctly, he should reach their second camping site shortly after they did. Yesterday they had used the kayaks to paddle the Hudson River before stopping for their first camp. This morning they should arrive here to await the scheduled release of water from Lake Abanakee this evening. This area of the Hudson was above the family rafting sites and would be wild running tomorrow, according to the director. The director said he would alert one of the rafting outfits to keep an eye out for him tomorrow, in case he needed a lift downriver. Meanwhile, this trail from O-K Slip Road was all rocks and roots, and he seemed to catch his feet on each one. Recovery time from abdominal surgery certainly wasn’t easy, he thought. He reached the Hudson Gorge and realized it would be a miracle to find them, even knowing their general stopping point. If they changed the plan and camped on the opposite side, he was out of luck and up the river without a paddle or raft. Gradually he left the pine forest and moved through birch and maple as he approached the river. He was relieved to finally come upon their camping site knowing she and her group would not be far. Erin had chosen a rocky outcropping, away from the tall trees and on a covering of moss and grass that spread across the gray rock above the river. The brightly colored tents were scattered in a rough circle. The trees below the outcropping made it impossible to see them, but he could hear their laughter and raised voices plainly enough. He didn’t see Erin’s little single tent because she wouldn’t camp very close to her charges. He was certain of that much, because his wife liked her privacy. Perhaps too damn much. He found her camp in short order and dropped his pack beside her gray-and-white tent. Erin’s pack rested inside the tent, and her food was properly hung in the trees to prevent attracting animals. The peals of laughter and howls of delight guided him to the trail to the river. A young man and an older woman headed in his direction, winding up the steep path from the water. The route inclined so sharply that the pair clung to saplings as they climbed. The skinny youth wore wet swim trunks and gripped a towel around his neck. His legs were pearly pale, but his face and arms showed a definite sunburn. The woman wore a one-piece bathing suit with jean shorts plastered to her legs and rivulets of water running down her tanned skin. He stepped off the trail to let them pass and continued, landing on his backside with a jolt of pain more than once. “No fun is right,” he muttered. At the bank of the river, he saw the three remaining adult campers and their leader. He’d recognize those legs anywhere. Firm tanned legs pushing off the gray rock as she climbed, leaving wet footprints from her water shoes as she easily scaled the boulder that was shaped like the fin of a shark, using a climbing rope. It was his wife. On the pinnacle of the sloping boulder she waited for a young woman in a pink bathing suit, which was an unfortunate match to her ruddy skin tone, to jump off and then followed behind, giving a howl of delight that made Dalton frown. He’d never heard her make such a sound of pure exhilaration. The single male waded out of the water and came up short at the sight of him. Dalton judged the man to be early twenties and carrying extra pounds around his middle. Dalton nodded and the young man crept past him on the uneven bank. The woman in pink swam and then waded after the man, followed by a lanky female with wet hair so short it stood up like a hedgehog’s spines. Erin emerged from her underwater swim at the base of the rock, scaling the slope to retrieve her climbing rope before making a final leap with the coiled rope over one shoulder. Dalton smiled as the pinkish woman, her face red from exertion, reached the muddy shore, her cheeks puffing out with each breath. She gave him a skeptical look and paused, one hand on her knee. That surprised him as he had once been just that. But he’d left Special Forces at Erin’s request. She pointed at the hunting knife that he’d strapped to his belt and then to his boots, military issue and which still fit. Finally, she lifted her finger to the tattoos staining his left forearm from wrist to elbow. The overall pattern spoke of lost comrades, blood, war dead and the corps. Her entire demeanor changed. Her face brightened and the look of suspicion vanished. He didn’t like the incredulity in her voice. “Yeah.” For now. His stomach gave a twist that had nothing to do with healing tissue. His brows sank deeper over his eyes. He was fun. She moved past him and continued up the trail with her comrade on her heels. This other woman said nothing, just gave him a sullen look and glanced away the minute they made eye contact. Erin reached the spot where she changed from swimming in the calm stretch to wading. He waited beside the kayaks. Her tank top clung to her skin, and he could see the two-piece suit she wore beneath, along with much of her toned, athletic build. Her wet light brown hair, cut bluntly at her jawline, had lost its natural wave in the water. Her whiskey-brown eyes sparkled above her full mouth, now stretched wide in a playful grin. He took a moment to admire the view of his wife, wet and smiling. He had the sudden impulse to hide before she spotted him. Dalton didn’t know how Erin knew he was there, but she straightened, giving him a moment to study her standing alert and relaxed as if listening to the birds that flitted across the water. Then she turned and her eyes shifted to her husband. The set of her jaw told him that she was not pleased. Dalton was six-three and weighed 245 pounds, but Erin’s scowl made him feel about two feet tall. “Surprise?” he said, stretching his arms out from his sides in a ta-da posture. Her gaze flicked to his middle, where she knew he still wore a bandage though the stitches were out now. She didn’t manage to keep from uttering a profanity. He knew this because he read it on her lips. The Lord’s name…in vain. Definitely. Then she tucked in her chin and started marching toward him in a way that would have made a lesser man run. Instead, he slid his hands into the rear pockets of his cargo pants and forced a smile that felt as awkward as a middle school slow dance. He did, running toward her, meeting her as she reached the bank. He stopped before her, then reached, preparing to swing her in a circle, as he did after separations of more than a day. He was suddenly glad he’d dumped his pack. Her two female adults had not climbed up to camp, opting to linger and watch the awkward reunion. Dalton glared, but they held their position, their heads swiveling from her to him as they awaited his reply, reminding him of spectators at a tennis match. Dalton pinned his eyes on his wife, an opponent, wishing they were alone but knowing that the women bearing witness might just play in his favor. Erin’s tone was icy, but she had not raised it…yet. He grinned, leaned in for a kiss and caught only her cheek as she stepped back, scowling. “I can’t believe this,” she muttered, pushing past him and heading up the trail. Her campers scuttled ahead of them and out of sight. He trotted after her, ignoring the tug of pain that accompanied each stride. “Did you bring a kayak?” she asked. She kept walking, leaning against the slope. Her calf muscles were tight, and he pictured those ankles locked about his lower back. It had been too long. “I’m taking a vacation. Just like you wanted,” he added. She spun and stormed a few steps away, and then she rounded on him. “You didn’t hear a word I said back there.” She pointed toward a tree that he assumed was in the direction of Yonkers, New York, and their pretty little split ranch house with the yard facing woods owned by the power company and a grill on the patio that he had planned to use over the July Fourth weekend. Instead, he was adventure camping without a kayak. “I missed you.” He held his grin, but felt it dying at the edges. Drying up like a dead lizard in the sun. She didn’t look back. She looked up at him with disappointment, the hill not quite evening their heights. Then she placed a hand over his, and for a minute he thought it would be all right. Her eyes squeezed shut and a tear dribbled down her cheek. Dalton gasped. He was making her cry. Erin didn’t cry unless she was furious. The pinkish woman appeared at the edge of the meadow, stepping beside them as her eyes shifted back and forth between them. She tugged on her thick rope of a braid as if trying to decide whether she should proceed or speak. Dalton looked at his wife. She hadn’t kissed him. When was the last time that she had greeted him without a kiss? When she’d left for adventure camp yesterday, he recalled. An icy dread crystallized around his heart. He would not lose her. Everything was changing. He had to figure out how to change it back. Change her back. “Erin, come on,” he coaxed. She was listening, and so was the interloper. He turned to the camper. “Seriously?” he said, and she scuttled away toward the others, who all stood together facing him and their camp leader, his wife. The assemble stood motionless, only their eyes flicking from him to her. Erin growled and strode away. She reached her tent, paused at the sight of his pack and dropped the rope. Her hands went to her hips. She turned to glare at him. He swallowed. When he gave her his best smile, she closed her eyes and turned away. Then she stripped out of her tank top and into a dry sweatshirt, leaving her wet suit on underneath. He tried to hide his disappointment as she dragged on dry shorts. She spoke, it seemed, to her pack. “I heard everything you said. I did. I just…” Ignored you, he thought, but wisely stopped speaking. The way she said “it isn’t” froze his blood. The flat, defeated tone left no doubt that she was ready to cut him loose. Erin opened her mouth to speak, but instead cocked her head. A moment later she had her hand shielding her eyes as she glanced up toward the sky. Her hearing was better than his. He’d fired too many shots with his M4 rifle without ear protection over in Afghanistan. 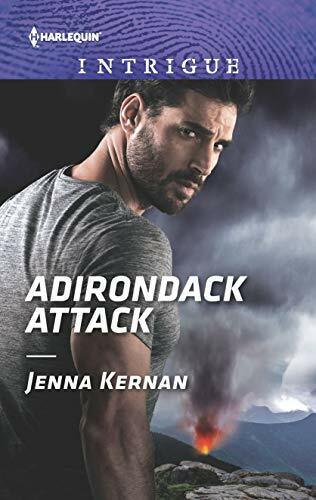 So he followed the direction of Erin’s attention and, a moment later, made out the familiar thumping drone of the blades of a helicopter. The chopper broke the ridgeline across the river, wobbling dangerously and issuing black smoke from the tail section. Dalton judged the angle of descent and the length of the meadow. The pilot was aiming for this flat stretch of ground beyond the tents that ringed the clearing. Dalton knew it would be a hard landing. He grabbed Erin, capturing her hand, and yanked her toward the trees. In the meadow, standing like startled deer amid their colorful tents, her charges watched the approaching disaster in petrified stillness.